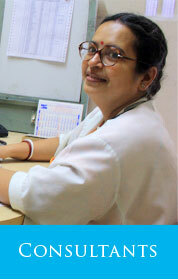 The Out Patient Department (OPD) consists of almost 150 doctors from over 35 disciplines. This facilitates medical treatment under one ceiling. Prepaid advance booking for medical consultancy in all disciplines is available 30 days in advance. A comprehensive doctors list (a booklet with information regarding the doctors and facilities) is available free of cost at the OPD Reception counter.